I really do love vegetables and I try to eat as many as possible, as often as possible. Besides being incredibly nutrient-dense, what I most love about vegetables is how versatile they are. You can steam, braise, roast, saute, stir-fry and grill them. Or you can eat most vegetables raw. But not only does a vegetable take on a different flavor with each preparation, but how you cut them makes a difference, too. Let’s use carrots as an example. I adore carrots both raw and cooked and I prepare them using all the methods mentioned above. But I have a favorite. There is something highly addictive and so satisfying about a simple salad of freshly grated carrots. It is hands-down my preferred way of eating this common, underappreciated vegetable. 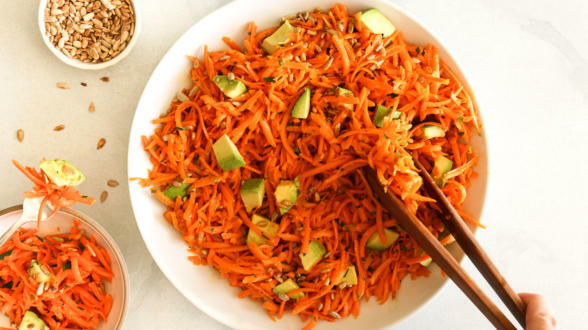 Grated carrot salad has just the right amount of crunch, sweetness and juiciness. My husband, who is not the biggest fan of carrots, calls this the “I Can’t Believe It’s Carrots” Salad and inhales it. Grated carrot salad is a classic and traditional dish in France where you’ll find it on many a cafe or bistro menu. 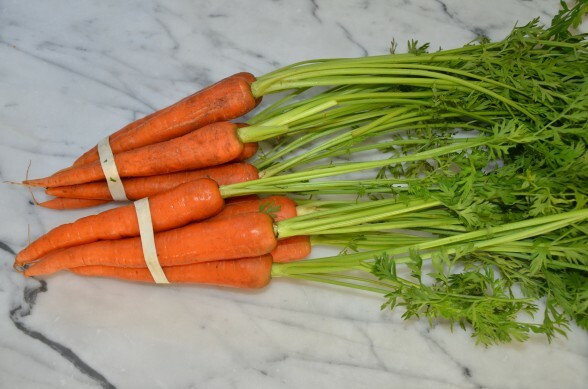 In my house, it appears very often as a side dish in the spring and summer months when fresh carrots are gloriously abundant at the farmer’s market. I always say that the best salads are the simplest and it doesn’t get any simpler than this one, especially if you can find the grater attachment to your food processor. I think the grater attachment is one of the most underutilized and helpful tools in the kitchen. 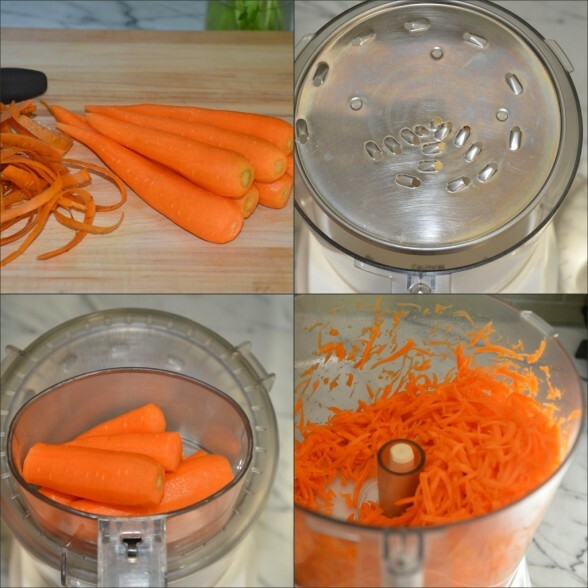 It may take you 5-8 minutes to peel 1 1/2 pounds of carrots, but it will take your food processor 5 seconds to grate them all. I can throw this simple lemon and olive oil dressing together in a few minutes and a surprisingly delicious salad is mine to savour. 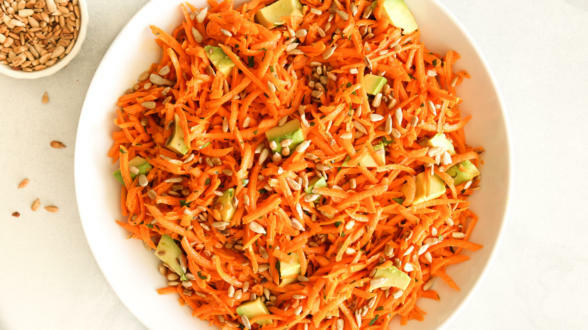 Although this salad is perfection with just carrots and dressing, I am crazy for avocados and I usually add a large one to the salad. The contrast of creamy and crunchy gets me every time. Daughter #1 loves it for a school lunch with feta and sunflower seeds. “What did you say, Mr. Picky? You prefer your grated carrots without dressing? Sure, no problem.” That’s me being flexible. We pack this for picnics at the beach, serve it alongside sandwiches on Saturdays or at barbecues in the summer. It is also a staple Rosh Hashana luncheon salad with roast chicken. This salad is even amazing the next day, but it never lasts that long. I know what you’re thinking — Really? Carrots? I’m telling you — addictive! Combine carrots, avocado, and parsley in a serving bowl. 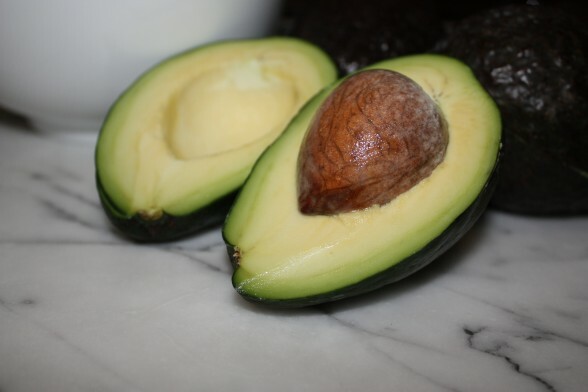 In a small bowl, combine lemon juice, sea salt, pepper, mustard and shallot. Whisk in olive oil. Add dressing to salad to taste and combine gently. Sprinkle with toasted sunflower seeds. The grated carrots and the dressing alone make a tasty and light salad. Don’t be concerned if you don’t have one or more of the other components . I just saw this recipe and I cannot wait to make it for dinner tonight ! I was thinking maybe some chopped toasted almonds on top for crunch. Thank You Pamela for he best recipes as always ! Yes, chopped toasted almonds on top would be amazing! looks RAWMAZING!!! what type of food processor do you use? It is! 🙂 Cuisinart Power Prep 14-cup, but anything over a 9-cup is more than sufficient. Cheers! This sounds so simple and so good. I will also be making it tonight for dinner. I’m always looking for healthy side dishes and salads. Thank you. It will go with whatever you had planned for dinner. Love that! I love grated carrot salads as well. The simplicity of this recipe is especially appealing, since it can be enjoyed as written or varied in multiple ways. That is so true, Miriam. I consider this a foundation recipe — enjoy! I’m making that tonight after my visit to the Farmer’s Market. Thanks for the great recipe!! I just returned from the farmer’s market and the carrots were gorgeous. I bought a bunch of purple ones!